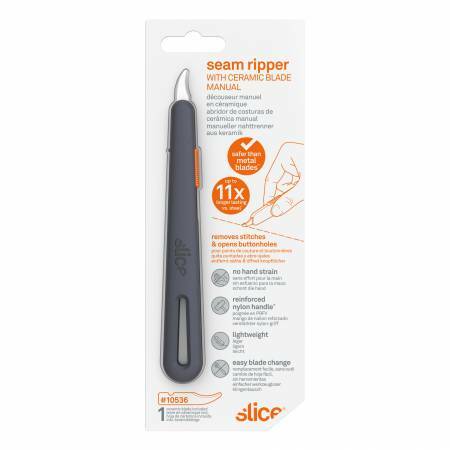 Seam Ripper Ceramic Blade Manual Retract removes stitches & opens buttonholes. No hand strain. Reinforced nylon handle. Lightweight. 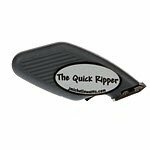 Easy blade change. 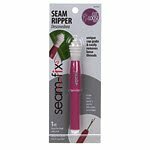 Seam Fix seam ripper. Each seam ripper has a sharp blade safety ball & lid. Special plastic material grabs removes excess threads from fabric. 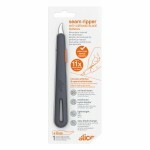 'Fons & Porter Ergonomic Seam Ripper'. Ergonomically designed soft cushioned seam ritter that is designed to fit the hand perfectly.